Big Riverfest issue. 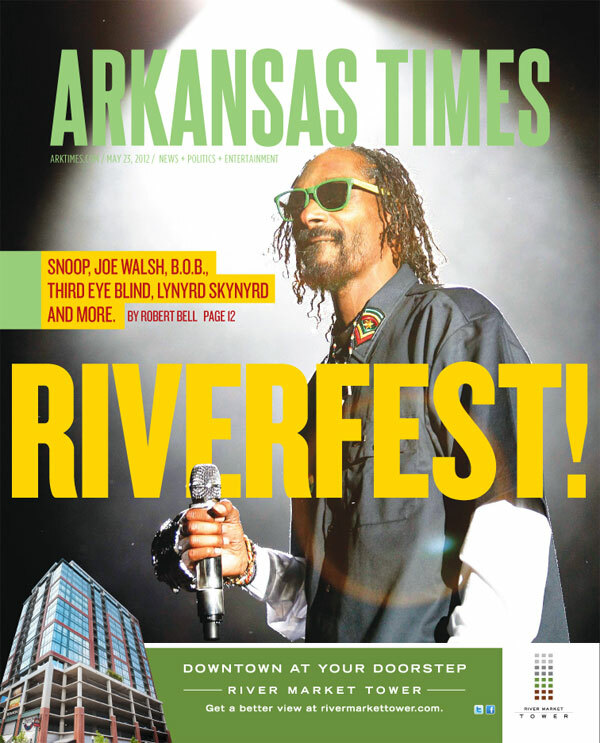 This is my third year doing the Riverfest issue. Interestingly, all three covers I’ve done have featured rappers. It’s amazing to me that the big headliners at the past three Riverfests have been well-known rappers (Ludacris, Nelly and Snoop Dogg). The guys always seem to headline Rivefest when they don’t have a new album out (especially Nelly), but y’know, at least they’re bringing in hip-hop. It’s by far my favorite musical genre, and there seems to be a lack of big rap acts that come through the area. All that being said, the last thing I ever want to do is cavort with the sweaty masses at a Memorial Day festival along the banks of the Arkansas River. So have fun, Riverfesters. I’ll be sitting at home in the air conditioning listening to all my favorite music, who cares that it’s not live. Since I’ve started this blog, I haven’t had the opportunity to post a cover that really involved a lot of interesting discussion or playing with the elements. The past few covers have been fairly straight forward. At some point there will be a good story to tell. Maybe next week.